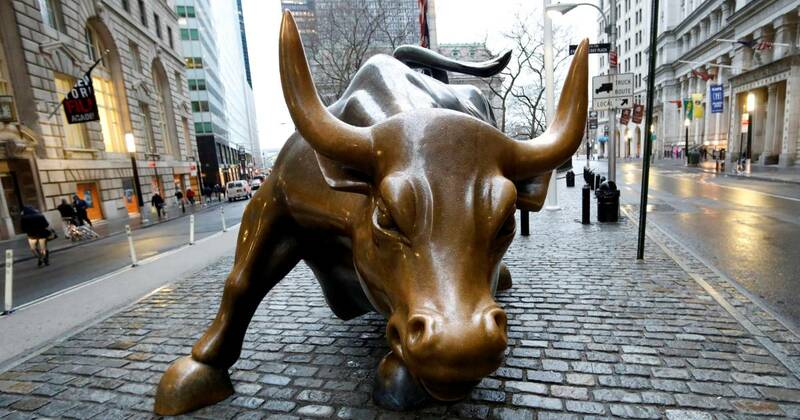 The stock market on Wednesday looked set to reach its longest run as a bull market, as robust corporate earnings, a booming economy, and a tax code overhaul continue to fuel the market’s upward trajectory after the financial doldrums that followed the Great Recession. Wednesday marks 3,453 days since the S&P 500 hit its trough on March 9, 2009. It will be the longest period where the index, which measures America’s largest 500 public companies, has gone without a fall of 20 percent or more. By market close on Wednesday, the index will have risen almost 325 percent since its low point in 2009. Like the Dow Jones Industrial Average hitting 25,000 for the first time earlier this year, the symbolic milestone has been sustained by a confluence of economic policies and events. “The markets, in the long run, really are based on two things — expectations of future interest rates and expectations of future earnings growth. Both are very positive right now,” said Dan North, chief economist at Euler Hermes North America. Economists say the duration of the economic expansion is correlated to the types of companies that have propelled the market higher, and what that telegraphs to investors about the prospect of future growth. “A lot of this bull market has been driven by technology stocks,” North said. “They have accounted for a significant amount of the gains, especially the past few years — and that is typical. Tech is typically where you see some of the strongest growth and that’s where America competes very well,” he said, due to the sector’s reputation for invention and innovation. Technology shares the limelight with a few other industries. “Consumer discretionary has massively outperformed the S&P 500 by far, followed by technology and then financials after that. If you look at these types of things that have driven the overall economy, it makes sense,” said Scott Wren, senior global equity strategist for the Wells Fargo Investment Institute. Ironically, Wren said the recovery’s slow start may have extended the lifespan of this run. “In this particular cycle, it’s taken so long to play out over such a long period of time that things like the consumer discretionary sector have been able to hang on,” he said. Economists also point towards Washington as a driver of the market run-up. Euler Hermes’ North said a combination of strong earnings growth and a tax-cutting, deregulating administration in Washington is fueling the continued confidence of investors and corporate leaders. This shot in the arm could come at a cost, though; economists warn that such short-term stimulative effects are unlikely to be sustainable over the long haul, as the U.S. Treasury faces the prospect of servicing an ever-escalating debt load with rising interest rates. “Of course there’s a long-term risk. It creates instability in the economy, given the ability of the country to bear that much debt,” Roth said. Interest rates are a concern more broadly, said Mitchell Goldberg, president of ClientFirst Strategy. “Interest rates are the most important determinant in securities valuation and market valuation,” he said. The Federal Reserve has to pull off a delicate balance, and a misstep could lead to a major economic stumble. Rising interest rates don’t just make investors nervous. They make it harder for Americans to fund the kind of debt-driven purchases that tend to spur other categories of consumer spending.